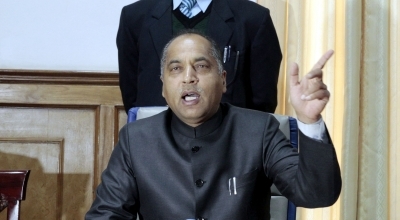 Shimla April 12 (IANS) Himachal Pradesh Chief Minister Jai Ram Thakur on Thursday said the Suketi Fossil Park in Sirmaur district will be developed through Asian Development Bank (ADB) assistance. The government is also open to private investment for the development of the part located near Nahan town. He was addressing a public meeting after visiting the museum and fossil park Asia s first at Nagal Suketi. He said the park an initiative of Himachal s first Chief Minister Y.S. Parmar would be developed from the tourism point view and all possible help would be provided by the state government. The fossil park displays six life-size fiberglass models of pre-historic animals whose fossils and skeletons were unearthed at the site. Thakur said the road leading to the park would be strengthened at the earliest. He said all efforts would be made to provide more water supply schemes in the area. He sanctioned a tubewell for Suketi village. Area legislator and Assembly Speaker Rajeev Bindal thanked the Chief Minister for sanctioning Rs 11 crore for strengthening the road leading to the fossil park. He said the Markenday river plays havoc in the area during the rainy season and urged for the construction of a dam on the river. Fossil park Director Ratish Chandel said on an average 1 500 people including researchers visit the park daily.